Robotic delivery services aren’t completely unheard of. Amazon stated that it wanted to experiment with drone delivery services, but nothing really came of it. 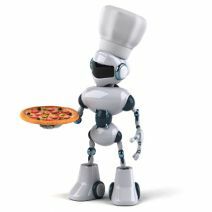 In a way, the Domino’s delivery robot is the first of its kind, and could pave the way for future pizza delivery apparatus. It’s just one way that the most unlikely of industries are taking advantage of modern technology to innovate and push toward greater heights. What are your thoughts on using technology to autonomously deliver goods or services? Let us know in the comments, and be sure to subscribe to our blog for more tech news, tips, and tricks.